Glad you found something you could stomach. Some anime is pretty watchable if you give it a chance. Yeah, I mean...I don't HATE the stuff. 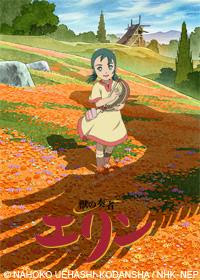 I like some of Ghibli's movies and I've watched a few series that I've enjoyed. It's just that the cookie-cutter characters and themes of a lot of them get really tiresome after a while. I have been watching Kemono no Souja Erin on and off and up to episode 40 something now. I like these kinds of story heavy anime. Ah, cool. Yeah, I'll take a good story over unnecessary action any day.